Forever Living Products (FLP) was launched in 1978 out of Scottsdale Arizona. Today it is an international company and is one of the world's largest manufacturers and distributors of Aloe Vera products. There is now a wide range of FLP products which includes weight loss, nutrition, Bee products, essential oils and more. Forever living sell their products through network marketing. They have a network of around 9.3 Million 'business owners' selling their products in over 150 countries. With annual revenue of over US $2.5 Billion, there is no doubt that the company is very profitable. We aren't here to review the company, we want to know if everyday people can make money from the business opportunity. We believe you can't make money with network marketing. However we're happy to be proven wrong in this full review of Forever Living Products. The information on the FLP website is a bit vague. We managed to find more detail in their 12 page explanation of the Forever Living business opportunity, or as they call it 'the greatest opportunity in the world'. We've heard others make that claim then turn out to be just another MLM. According to the business opportunity, multi-level marketing 'allows you to achieve tremendous financial gains'. All you need to do is recruit one person per month, and have them 'duplicate' the process. In a little over a year you'd have a network of over 4,000 FBOs. The commissions from their Forever Living purchases will give you 'financial rewards that you've never before dreamed possible'. The first thing we notice is that 'all achievements are based on case credits'. Each Forever Living product you buy will have a specific Case Credit (CC) value. The video explains that 1 CC is equal to around US $140 worth of FLP products at wholesale price. Once you are 'wholesale qualified', you can earn 30% retail commission when customers order from your Forever Living FBO website. You will also qualify for personal bonuses of 5-18%. All you have to do is find customers! The earnings potential doesn't end at the 48% to SRP commissions. If you continue to grow your FLP network and reach the level of 'manager', you will qualify for leadership bonuses. Leadership bonuses are paid on any FBO's who reach the manager level in your down line. These bonuses are paid on 3 generations of managers. You will earn 6% on 1st generation, 3% on 2nd and 2% on 3rd generation. Before you join Forever Living, you should make an effort to read the Candice Kiddle Forever Living experience. Like millions of others, she signed up with the hopes of solving her financial problems, but it didn't take long for the dreams to turn into nightmares. Candice joined as a single mum lured in by the possibility of earning some extra cash using nothing more than the internet. Within a few months she realised that she'd made a horrible mistake. This was not her path to financial freedom. With Forever Living, she struggled to break even and was damaging friendships. Candice's story is far from an isolated case, in fact there are some which are claiming that Forever Living is a Scam! As we saw from the FLP marketing plan, you will achieve tremendous gains if you build a team that 'duplicates' your regular recruitment activities. We are not alone in our assessment. Dr. Taylor's evaluation of Forever Living, estimates that less than 1% of FBO's turn a profit. The Forever Living business opportunity explains that the products 'bring the remarkable properties of Aloe to the whole body'. It goes on to tell us that the 'health properties of aloe have been known for centuries', however the medical and nutritional industries ignored aloe. FLP credit themselves with reintroducing Aloe to the world. 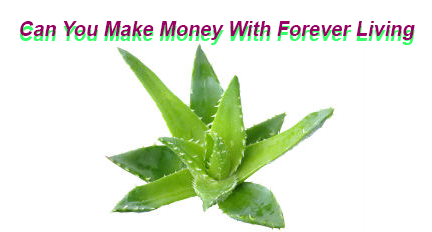 On the Forever Living website, they tell us that aloe is the 'lifeblood of the company'. It goes on to describe the 'magically soothing abilities' it provides, along with other 'proven health benefits'. A FLP review by one more cup of coffee, had similar findings. They explain that the products are good, but are too expensive. They go on to note that the business opportunity will turn you into an 'annoying aloe' person. Even though they closely resemble a pyramid system, MLMs are legal as long as there are products or services attached to them. This does not mean that network marketing is an ethical way to sell products. An investigative reporter in Sweden recorded her experiences from a Forever Living recruitment seminar. She learned about using social media to share the 'Forever Living lifestyle'. The presentation taught them about 'relationship capital' and how to see all your friends and family as 'opportunities for sales'. There was even advice on how to promote the products without personally breaking the pharmaceutical laws. Forever Living has been warned by the Swedish Medicines Agency that FBOs have made false claims about the health benefits of FLP products. This would explain why Forever Living speaks vaguely of the 'magical' and 'proven benefits' of aloe, but doesn't really give us much detail. It seems that most of the positive benefits of aloe are being shared by enthusiastic FBOs who are eager to make sales. In their quest for commissions, they may overlook that fact that there is no scientific evidence to support their claims. There's no such thing as a 'secret to success'. We don't believe that you can make money by simply 'duplicating' what others have done. No matter how successful someone has been, there is no guarantee that you will achieve any results even if you follow every step they took. In our opinion, it is unlikely that you will make money from network marketing. The main reason is because of saturation. As more members join the system, they will be competing with existing members to make sales. The internet makes it easy for you to reach people all over the world. Unfortunately this also means that all the other Forever Living FBOs can also reach your target market. Unless you are doing something unique, it's unlikely that you will make significant sales or generate any profit.